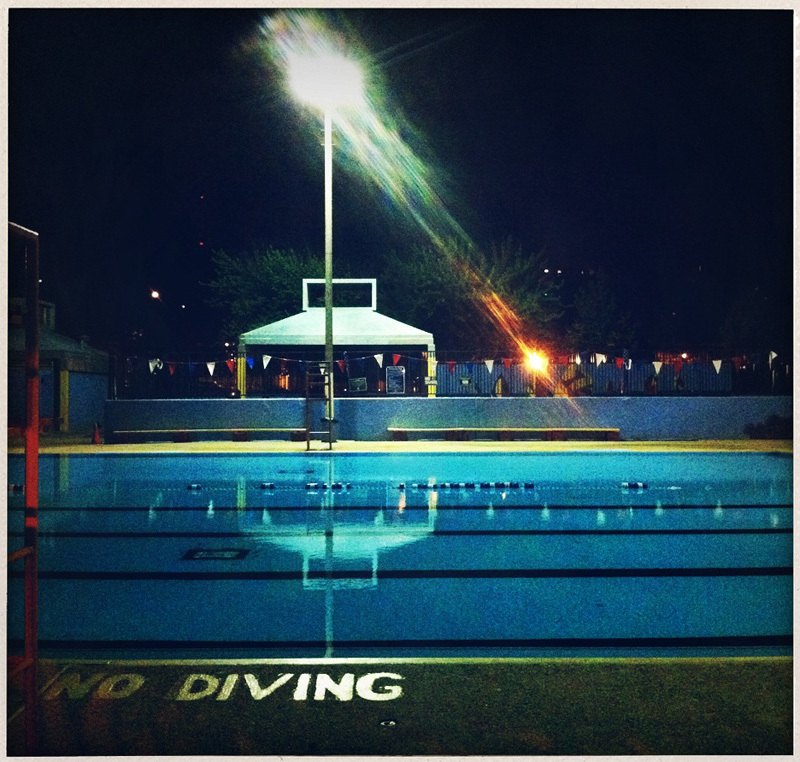 I've become a bit of a water bug again after traveling along the beautiful waters of the Gulf, so when riding home last night this city pool was calling me and I seriously looked for a way in. Perfectly still empty waters. During the daytime hours the pools are full to the brim with kids and parents of kids, and as much as I'd like to take a swim, that doesn't interest me at all... but this empty pool, screams come in!